Where's the love for MB? Ed Kim on Where's the love for MB? Richard Izzo on Yet another scandal: Lee Myung-bak and "Tennis-gate"
Account Deleted on Sending American Troops from Korea to Iraq: A hoax? Alazon on Disturbing picture of the month: When Rat-dogs Attack! Shin Sang-ok, a movie director who lived a successful and tumultuous life including nine years of captivity in North Korea, died Tuesday night while hospitalized. He is survived by his wife, Choi Un-hee, two sons and two daughters. Born in 1926 in North Hamkyong Province in what is today North Korea, he debuted as an art director soon after he graduated from a Tokyo university in 1945. He made his first movie in 1952. He married Choi, a popular actress at the time, in 1953. He and his wife were abducted by North Koreans in 1978 while in Hong Kong and held captive before their successful escape through Vienna in March 1986. They said they were forced to make movies eulogizing North Korean leader Kim Jong-il and his regime. I confess that I am not familiar with the man's work. Alas, you will have to go elsewhere for a proper eulogy. 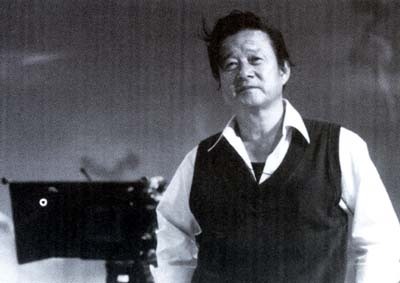 He is considered to be one of the masters of early post-independence Korean film makers. The Guardian has a piece on Shin's experience as a film maker under Kim Jong-il. The timing of Shin's death cannot be good politically for the Roh administration, which is taking some heat for being "lukewarm" on trying to secure the release of South Korean abductees compared to Japan's more vigorous efforts on behalf of its citizens. The attention brought on by the death one of the most famous abductees might turn the heat up more.